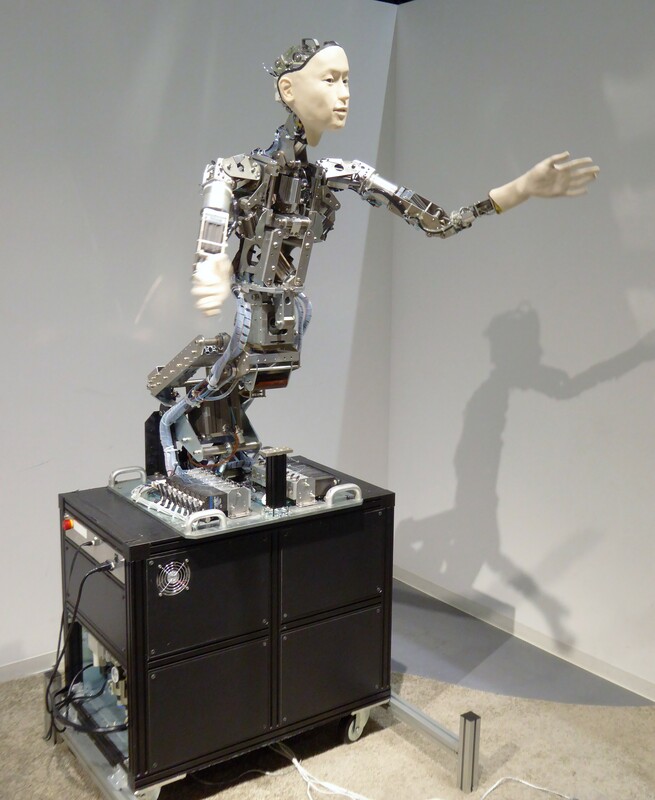 What would a trip to a Japanese tech museum be without some robots? This one integrates movements of passersby into its actions. It also has a strangled squawk for a voice. Terrifying.